Umbrella Acadamy(netflix) is fun....................usually dont like the superhero stuff. Don't you guys love Sherlock Holmes? I think this is one of the best I;ve ever watched. I also into The Mentalist, I fallin love with the characters and the drama, the ending, the riddle. Right now, im binge-watching LUCIFER. Its funny and interesting. Mine is just a lot of anime. Battlestar Galactica. I initially was going for Dexter and of course Breaking Bad comes to mind but BSG is where my heart is at. The Office! Boy I wish we had some posts about asking best parts and quotes from that show, I'd comment gladly! You can be the one to start that post ; ) . Assuming we are talking live action, The "elite(That are just making it one of the best of anything, not just TV shows)" are: Sopranos, Fargo and Hannibal. Somewhere close to that are Happy! and perhaps Legion and "Daredevil" and "Broadwalk Empire" and "Boss". Then there's the TV's Best: "X-Files", "Z Nation", "Twilight Zone", "Star Trek: Original Series", "Black Scorpion", "Quantum Leap", Lexxx", "Uboinaya Sila", Soviet "Sherlock Holmes" "Blood Drive", I have high hopes for "Titans" so far, and the best sitcom is "Married with Children". Special mention for Breaking Bad, Better Call Saul and Game of Thrones. First two would be along with Sopranos if the creators of those didn't love to "artistically" sssssssssstretch and over-do the prolongness of everything so much. And Game of Thrones was something amazing in first three seasons but went into a bad copypaste of "walking mood" from Lord of the Rings since then. Oh, and "Preacher" is a mixed bag somewhere outside of all of this, but it can be super entertaining and visually enchanting (When it's not annoying or boring). Last edited by CasualMeaning; 03-15-2019, 06:41 PM. The Umbrella Academy (Sci-fi but so-so). Bakula - brilliant role model to help you understand women in Quantum Leap Series is always about rescuing distressed damsels like I do. Produced by the same team as US Naval crime drama NCIS. Of course an older SB appears in the spin-off series NCIS - Los Angeles. Worst was the 70's private eye series 'Cannon' about an ex-cop who was so obese that he was bulletproof. Often though you'd need a tank missile to shoot him down. And who'd heard of a private eye who could afford a huge bulletproof Cadillac? It got worse. Guess that money could be saved filming William Conrad's lavish high calorie cooking. Wasn't exactly TV Masterchef but Conrad's 'Cannon' character always loved his food. 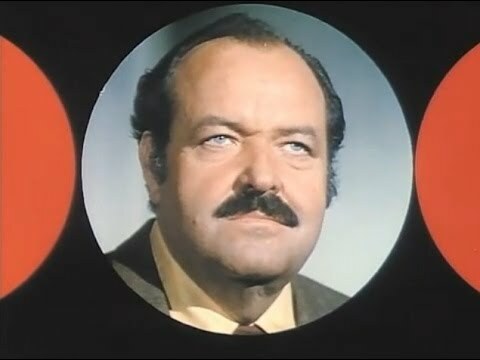 Cannon starring William Conrad - most definitely the worst! Last edited by look4swissmiss; 03-10-2019, 09:25 AM. Can I also talk about the worst? Van Helsing is annoying. The characters are so unintelligent. A Marine is unable to see a weapon in front of him. A Doctor will never see an obviously cure, even when the cure says it. The plot has potential to make a great show but the characters are weird, their decisions are bizarre and the flashbacks. The second episode is just flashback anf fillers and I didn't watch it. The third is the same. After the fourth, I just turned off.